We are beyond thrilled to usher in 2019 with our dreamiest spa experience, Zama’s CBD Cloud 9 Package! 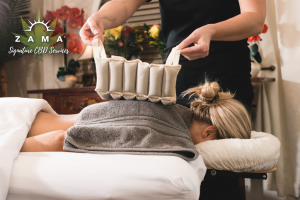 Our CBD Cloud 9 Package is the spa day of your dreams! Book our newest package right away and take advantage of our most recent spa upgrades! 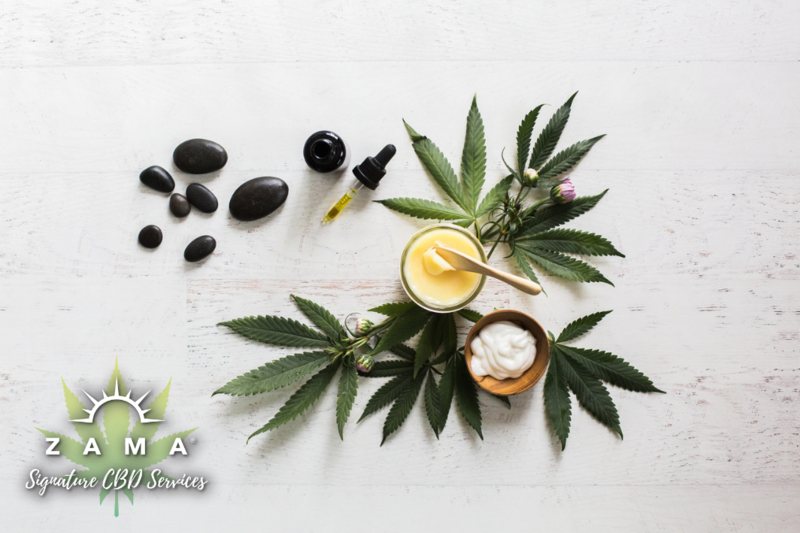 Our CBD Cloud 9 Package is a therapeutic win, bringing together our CBD Signature Services with our most beloved CBD Massage and CBD Happy Feet Pedicure. You’ll literally feel like you are floating on Cloud 9, awake in the most pleasant of spa dreams! First, let us know exactly what you need from your massage. Your LMT will design your massage to prioritize your specific needs with our signature CBD protocol. You’ll start with our very powerful Clinic Massage Oil liberally applied to your target areas. This Level 3 CBD Massage Oil combines the highest level potency of CBD combined with menthol and camphor and has been specifically formulated for deeper and faster absorption of the pain-relieving compounds. Next comes your specialized Moist Heat Therapy steam packs. You’ll get a double whammy of pain relief when we apply moist heat on top of your target areas. This prepares your hot spots for the therapeutic massage to follow. We will then tame your entire body & soul with a Vital Body Therapeutic CBD massage cream. Vital Body CBD massage cream is made by massage therapists for massage therapists. This CBD cream is made of 100% naturally derived ingredients and feels amazing on your body. You feel nourished by the body-loving ingredients, which include eight organic pain relieving herbs: Arnica, Comfrey, Chamomile, Calendula, Dandelion, Ginger Root, and Hemp-Derived CBD for maximum relief of pain and inflammation. Plus your skin will glow and you will feel fully revitalized! Now it’s time for your CBD Happy Feet Pedicure! 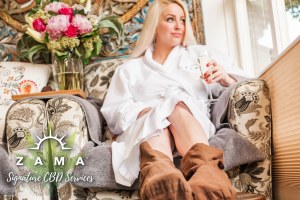 Sit back and enjoy hot tea, kombucha, wine, or bubbly and begin your deeply relaxing experience while your feet enjoy their Vital Body CBD Epsom soak. While your feet are floating on Cloud 9, we’ll give them expert nail, callus, and cuticle care. Next comes your Green Tea Salt Scrub exfoliation, which blends the power of green tea with detoxifying sea salt. Perfection will have to do with your CBD hot stone massage & warm booties! We’ll massage our most potent CBD Clinic Massage Oil mixed with Vital Body Pain Relief Balm into your feet, which will cool them while blissfully taming away pain. We’ll then slide on our warming booties in order to help the CBD penetrate deeply while giving you the most delightful cooling and warming sensation. While your feet sit in their warm booties, we will massage our Vital Body Therapeutics CBD cream onto your lower legs. Using hot stones, we’ll massage this CBD cream containing eight pain relieving herbs, into your legs until it is absorbed. Finally with booties removed we will continue the massage into your feet and toes! And last but not least you are ready for your gentle buff to shine or polish from our five free Deborah Lippmann nail line! Book your CBD Cloud 9 Package now!